Photos in connection with your reporting and mention of the photo-credit about the Philharmonie Salzburg, Elisabeth Fuchs and / or the children's festival. 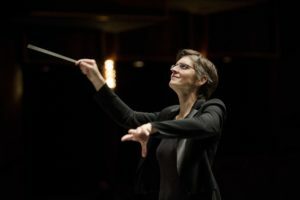 Born in Austria, Elisabeth Fuchs studied orchestral conducting, oboe, school music and mathematics at the Mozarteum Salzburg, at the Paris Lodron University Salzburg and at the Cologne Conservatory. She is chief conductor of the Philharmonie Salzburg and maintains a lively collaboration with renowned orchestras such as the Stuttgart Philharmonic, the Zagreb Philharmonic Orchestra and the Brussels Philharmonic Orchestra. Elisabeth Fuchs loves to break musical boundaries.  This led to special collaborations with Stjepan Hauser (2Cellos), the David Orlowsky Trio, the Klazz Brothers, Rolando Villazon, Iris Berben and many other artists. 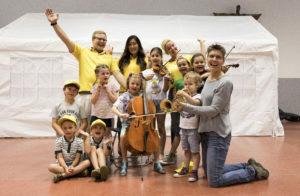 A big concern for her is the participative music education which leads among other things to choir projects with 300 contributors as well as to intensive work with children and adolescents. Born in Austria, Elisabeth Fuchs is chief conductor of the Philharmonie Salzburg. 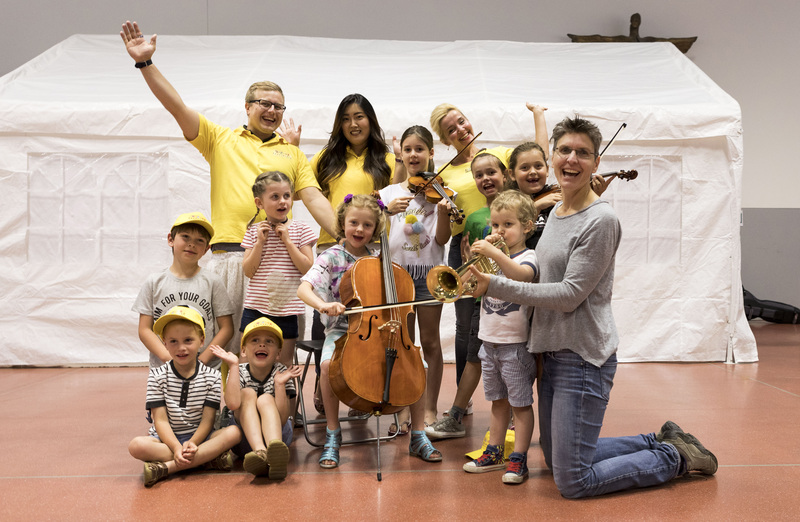 It combines a multi-year collaboration with the Stuttgart Philharmonic, the Zagreb Philharmonic Orchestra, the Helsingborg Symphony Orchestra and the Brussels Philharmonic Orchestra. 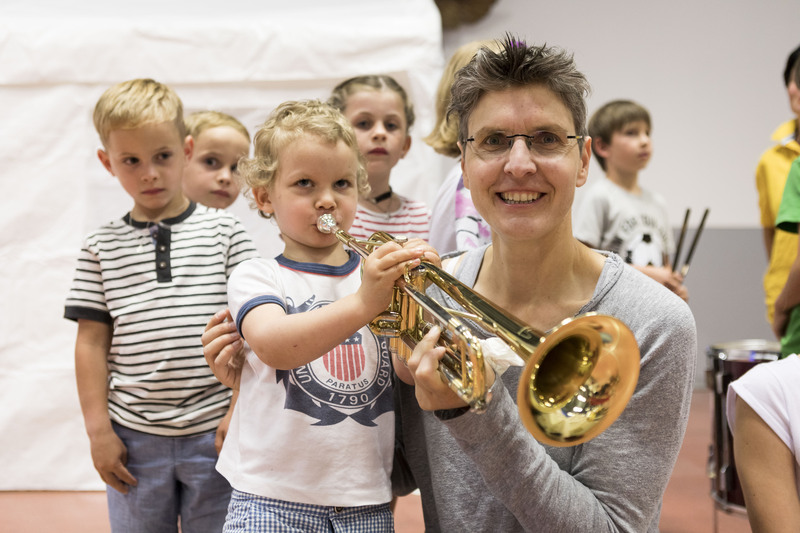 She also conducted the Brucknerorchester Linz, the Tonkünstlerorchester Niederösterreich, the Mozarteumorchester Salzburg, the Hamburger Symphoniker, the Dortmunder Philharmoniker, the NDR Radiophilharmonie Hannover, the WDR Sinfonieorchester Köln, the HR Sinfonieorchester Frankfurt, the Münchner Symphoniker and the Münchner Rundfunkorchester. 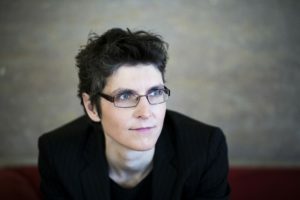 Elisabeth Fuchs loves to break musical boundaries, leading to special music & performance projects with Quadro Nuevo, Stjepan Hauser (2 Cellos), David Orlofsky Trio, Klazz Brothers, Henry Threadgill, Pacho Flores, Andreas Martin Hofmeir, Benjamin Schmid, Sergej Malov, Per Arne Glorvigen, Nikolai Tokarev, Rolando Villazón, Iris Berben, Maria Bill, Cornelius Obonya, Philipp Hochmair. A big concern for her is the participatory music education, which leads to large choir projects with 300 contributors, education projects for children, adolescents and students, for which Elisabeth Fuchs in the year 2007 the children's festival Salzburg, 2013 the apprentice concerts in the big festival house and 2018 for students the lecture "UV Musicology interactive including concert experiences" initiated. 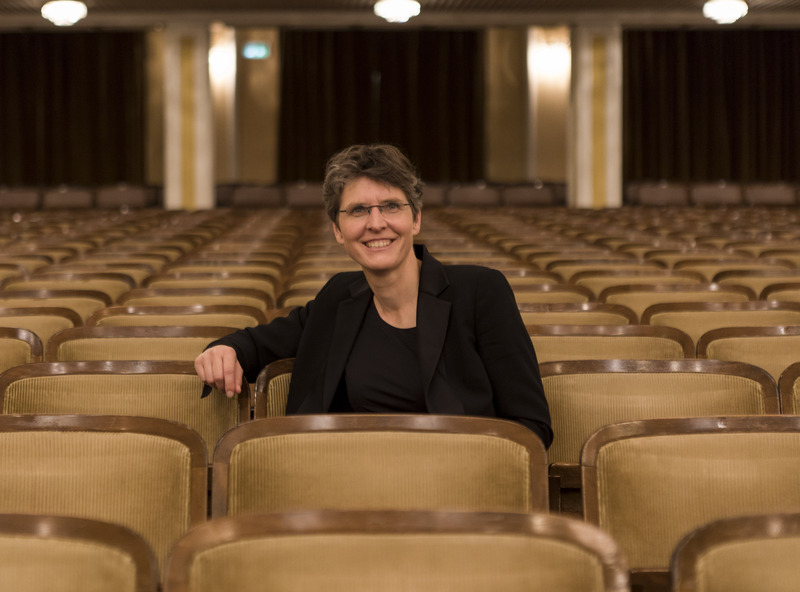 From 2009 to 2018 she was the Artistic Director of the Salzburger Kulturvereinigung. 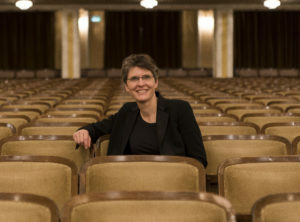 Elisabeth Fuchs studied orchestral conducting, choir conducting, oboe, school music and mathematics at the University Mozarteum Salzburg, at the Paris Lodron University Salzburg and at the Musikhochschule Köln. She lives with her two children in Salzburg. with which she performs a wide-ranging repertoire in the Festspielhaus Salzburg as well as in the Felsenreitschule and in the Great Hall of the Mozarteum (Bach, Mozart, Beethoven, Schubert, Mendelssohn, Schumann, Brahms, Bruckner, Mahler, Dvorak, Tchaikovsky, Rachmaninoff, Shostakovich, Ravel to Arvo Pärt, Kurt Schwertsik and John Adams). With her orchestra she has performed several times in the Wiener Musikverein, Wiener Konzerthaus, Brucknerhaus Linz, Congress Center Villach, Kurhaus Wiesbaden and Tonhalle Düsseldorf. 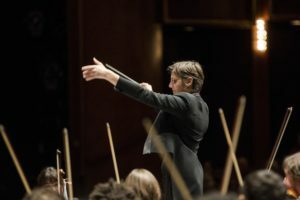 Highlights of the 2019 / 20 season include Orff's Carmina Burana, the 1. & 5. Mahler, Elgar's Enigma Variations, the 4. Bruckner, Schubert's Great CDur Symphony, Mozart's Last Symphonies, the 8.  Dvorak, the 2. Brahms and Berlioz's symphony fantastique. 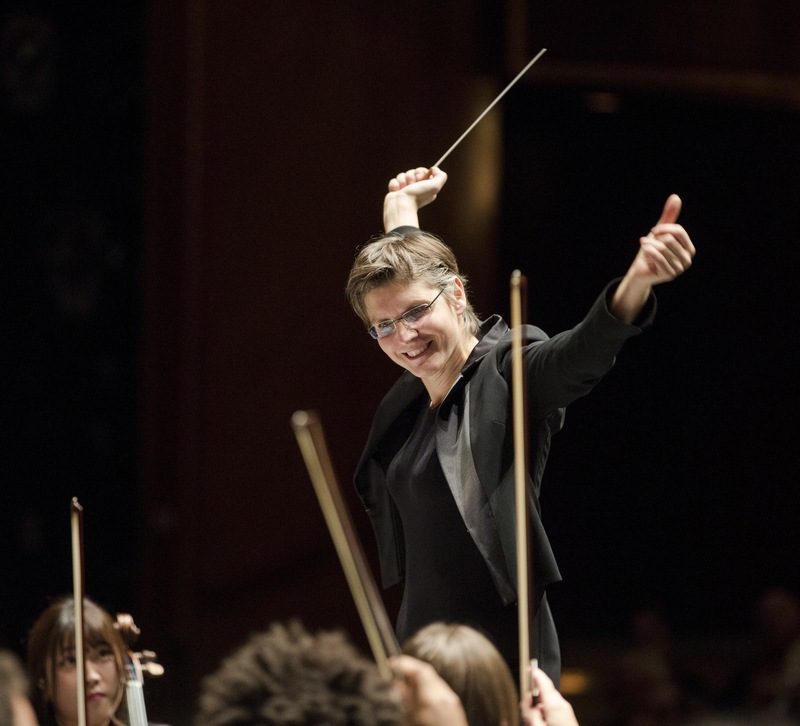 In autumn 2018, Elisabeth Fuchs and the Philharmonie Salzburg made their first tour of China with Beethoven's Pastorale as their main work. Since 2012, Elisabeth Fuchs has been working with the Stuttgart Philharmonic on a regular basis. Since 2014, she has been conducting the Zagreb Philharmonic Orchestra at the Lisinski Hall almost every season. 2013 debuted with the Helsingborg Symphony Orchestra and was re-invited as well as after her debut with the Brussels Philharmonic Orchestra 2014. 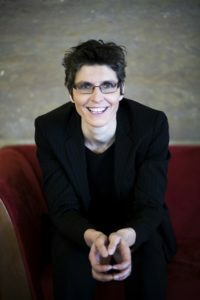 Elisabeth Fuchs performed in the Musikhalle Hamburg, the Konzerthaus Dortmund and the Rheingau Musik Festival and conducted the Brucknerorchester Linz, the Tonkünstlerorchester Niederösterreich and the NDR Radiophilharmonie Hannover. 2018 made her debut with the WDR Symphony Orchestra Cologne, the HR Symphony Orchestra Frankfurt and the Munich Symphony Orchestra. 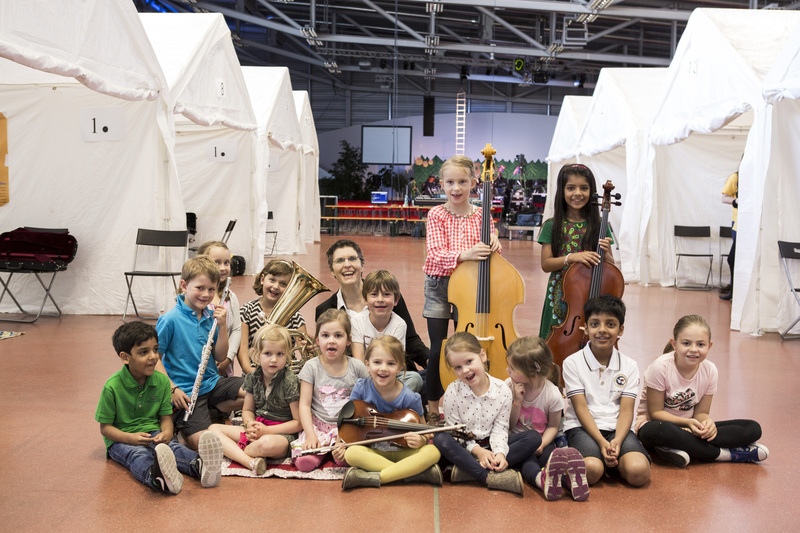 Together with the Munich Radio Orchestra and Quadro Nuevo, she recorded the CD "Volkslied reloaded" for Sony Music on 2019. At the Prague State Opera, Elisabeth Fuchs made her debut with the Magic Flute, at the Salzburg Festival she conducted Shostakovich's Das neue Babylon as well as the Mozart operas Bastien and Bastienne and Der Schauspieldirektor, which were recorded on DVD by Deutsche Grammophon. 2017 debuted Elisabeth Fuchs in Israel at the Beer Sheva Sinfonietta. 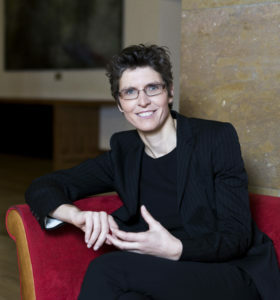 She also directed the Hamburger Symphoniker, the Württembergische Philharmonie Reutlingen, the Wuppertal Symphony Orchestra, the Mozarteum Orchestra Salzburg, the Sinfonieorchester Erfurt, the Nordwestdeutsche Philharmonie Herford and the Dortmunder Philharmoniker. Elisabeth Fuchs studied orchestral conducting, choir conducting, oboe, school music and mathematics at the Mozarteum Salzburg University, at the Paris Lodron University Salzburg and at the Cologne Conservatory. Musically influential people for their artistic career were Balduin Sulzer, Franz Welser-Möst, Herbert Böck, Karl Kamper and Dennis Russell Davies. 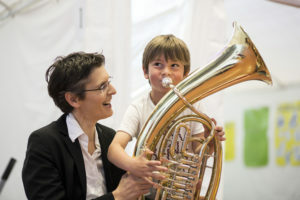 2005 became Elisabeth Fuchs for her outstanding achievements with the Irma von Troll Borostyáni Prize, 2007 with the Federal Decoration of Honor of the Federal Ministry of Education, Art and Culture, 2017 with the Salzburg Prize of the Cultural Fund of the City of Salzburg and 2018 with the Honorary Cup of the City of Salzburg awarded.